From the outside, the Cape Codder Resort doesn’t look like much. 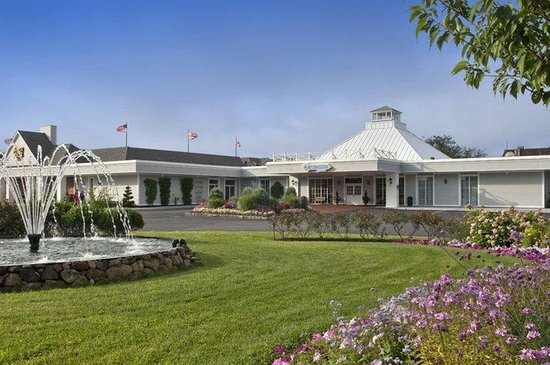 Located beside the highway in — let’s face it — the ugliest part of Cape Cod, the outside of the resort looks more like a strip mall anchored by the Hearth & Kettle Restaurant than an enticing place to spend a family vacation. Inside, however, the property is full of surprises. The entire resort is focused around a large open-air courtyard filled with sand and beach chairs and opening up to what is sure to be the main attraction for the kids: the giant indoor wave pool. 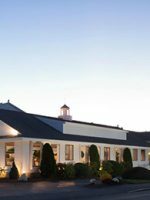 Sheltered from the highway, guests are quick to forget the exterior — instead, finding a terrifically unpretentious family-friendly resort with lots of activities to keep the kids occupied, a convenient location in the heart of the Cape, and a price tag quite a bit lower than other nearby resorts. The resort actually started with the restaurant, which was opened 35 years ago by Vincent Catania, who everyone called VJ. Over the years, he added to his properties with the John Carver Inn in Plymouth, the Dan’l Webster Inn in Sandwich, and finally the Cape Codder, a former Sheraton Resort which he updated and reopened a decade ago. Since VJ passed away in 2010, the resort has been managed by his children Bill, Steve and Debra Catania, who have worked to update the look and feel of the property with a more contemporary vibe, adding a spa, outdoor pool and a new “residence club” of more upscale fractional ownership rooms that are also available to hotel guests. The heart of the resort, however, remains the laidback attitude with a staff that not only excels at handling kids, but actually seems to enjoy being with them. This is not the place to come, necessarily, if you are a couple looking for romance. But for a family looking to relax, you won’t have to worry about being the only one with rambunctious little ones — or have to worry about what to do with them once they find the wave pool. When you are not out exploring the beaches and villages of the Cape, you’ll find it easy to pull up a deck chair on the sand or prop open the sliding door facing the courtyard and know your kids are safe and more than entertained. In all, the Cape Codder has 260 rooms, in a mix of sizes. 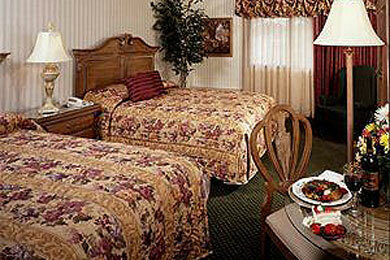 The deluxe rooms are the most basic design, with two double beds or one king. The larger Cape Codder rooms have two queens or one king, some with gas fireplaces. Finally, the seven Loft Suites feature two bedrooms, each with queen beds, the second one accessible by a spiral stair to a loft overlooking the room. All rooms include flat-screen TVs with on-demand movies, and coffee makers. The regular rooms include Gilchrist & Soames bath products. The suites feature more upscale furnishings as well as Jacuzzi tubs, memory-foam mattresses and softer sheets, fireplace, DVD player, and Spa Therapy product. Children are free up to five people in each room; cribs are complimentary and cots are available for $20/night. Refrigerators are also available for $20/night. The most upscale option for a stay is the new residence club suites: apartments that are available for purchase as fractional units, but also open to stays by the hotel guests. Truth be told, the level of luxury in these suites is surprising, with spacious rooms, flat-screens, stereo sound system, kitchen with chef stove, large Jacuzzi soaker tubs, etc. Hand-painted murals of beach scenes on the walls help to retain the Cape Cod vibe, while the rest of the decor creates an exclusive feel. Just got back from an overnight at the Cape Codder. Went with my mother and my 3 kids ages 6-15. We had a blast, it was better than I expected! Kids had fun even with the age differences, staff was very friendly and helpful, rooms were clean and beds were comfortable. I loved that we could use the waterpark starting at 1pm the day of check in and until 2pm day of check out. There were many activities offered during the time we were there. My daughter got her face painted by a very nice artist, cool balloon creations by the balloon guy and a hysterical comedy show at night. We went to Hearth and Kettle one of the restaurants located in the resort for dinner and breakfast and they also had friendly staff and great food! A special shout out to Alyssa at the arcade for being so nice to my boys! Overall great experience and my kids have already asked to go back. One note...I saw reviews about the smell of chemicals in the air in the water park and yes, you can smell chorine but it is an indoor waterpark with many, many people swimming, they need to keep it clean and it's not that bad at all! There were 45 in our group there to celebrate my mom's 80th birthday. Our group ranged in age from 7 months to 80. Everyone had a great time. The water park was great fun and having various areas for different levels of activity was perfect for our group. 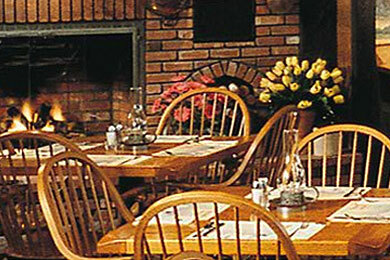 We also used the Hearth and Kettle restaurant attached to the hotel. Didn't need to leave the premises once we arrived! Outside in the courtyard, there's a kid's playground, a beach volleyball court and plenty of room for older kids to run around in a big grassy field. One nice feature of the resort is a nightly bonfire that occurs here every night of the year, complete with marshmallows to toast and an outdoor movie for the kids. While the Cape Codder doesn't have a formal drop-off "kids' camp," it does schedule activities nearly every hour of the day during summer months, including tug-of-war and capture-the-flag competitions; Frisbee and soccer games; arts and crafts activities, and face painting. Parents usually accompany children to these activities -- though children 11 and over may be dropped off. 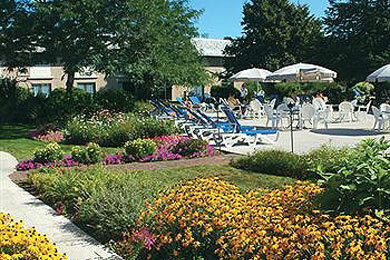 The resort also has sports equipment available for kids to use, as well as a variety of board games for loan. 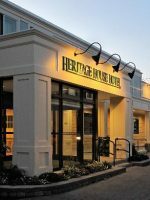 The Hearth & Kettle restaurants are a mainstay of family dining in Southern Massachusetts, with tourist kitsch decor and an epic menu of options that runs the gamut from all-day breakfasts and plenty of fried fish and seafood options, to burgers, salads and sandwiches. Very little on the menu is over $10, and no entrees are over $20, making this very good value for the money, especially considering the sometimes overwhelming portion sizes. But the restaurant has also been making a concerted effort in the past few years to make its food healthier, sourcing more of its vegetables and meats locally and making soups and other dishes from scratch. The all-American fare will never be mistaken for spa cuisine, but as a parent at least it's nice to know that the food here is as healthy as possible. The ambience and the cuisine at the resort's other restaurant, Grand Cru Wine Bar, are somewhat more upscale, but still plenty casual for families. French Impressionist prints and high-top tables set a kind of brasserie atmosphere, while the food includes a mezze plate, paninis and lobster rolls, and grilled organic chicken. The most expensive item on the menu -- a filet mignon in rich red-wine sauce -- is still only $25, making this slightly more expensive than the H&K next door, but still very good value. Jazz groups play live music here on weekends. Both restaurants have an extensive children's menu with all the favorites: chicken fingers, mac n' cheese, hamburgers and hotdogs, etc. Crayons are provided. 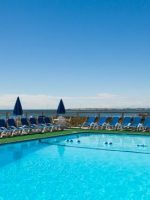 The Cape Codder's new Beach Plum Spa offers a bit of everything, with local beach plum berries worked into many of the products used in massage and body treatments, and medical procedures such as Botox and laser treatments among the offerings. Like everything here, the spa is especially accommodating to families, offering mani/pedis or other treatments to kids as young as 5 (with parent present) and setting up special mother-daughter (or father-son) spa treatments upon request. For nights out, babysitting is available through a bonded service at the rate of $26/hour, with a four-hour minimum. 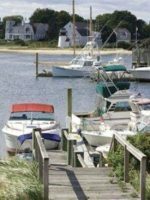 The Cape Codder is open year-round, and while the kids activities are limited to the summer months, other perks, such as the nightly bonfires and movies are offered throughout the year. Of course, the best time to visit is during the height of summer in July and August, when the weather is sunny and hot, and the Cape is in full swing. A trip during the "shoulder season" of June or September can be a great option, however, to save a little money -- rates are lower, but oftentimes the weather is just as nice (and not as humid as it can be in August). The Cape tends to shut down after October, and doesn't really open again until April. So if you are visiting between these periods, don't expect to have a lot of dining options outside the resort. While there is an austere beauty to the Cape in the snow, recreational activities are few and most tourists avoid the area during the winter. 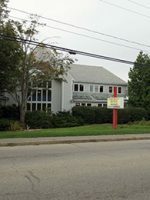 Hyannis is located approximately an hour and a half from Boston along Routes 3 and US 6. It's about five hours from New York City, along Interstates 95, 195, and 495 and US Route 6. The closest full-service airport is Boston's Logan International Airport, which offers flights from all major domestic and quite a few international locations. You can rent a car at the airport, arrange car transportation from Logan through Cape Destinations for about $150 each way, or take a bus to Hyannis for about $25 each way with the Brockton & Plymouth Line. 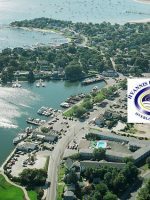 It's also possible to fly from Boston to the regional Barnstable Municipal Airport, which is located only 3 miles from the resort. Among the airlines making the trip are Cape Air, Island Air, and Nantucket Airlines, all of which also fly between Hyannis and Nantucket and Martha's Vineyard. Cabs are available at the airport. For all of these options, keep in mind public transportation is not very extensive on the Cape. If you plan on sightseeing or hitting the beaches, you'll almost certainly want your own car. For grown-ups, the resort also opened a new "adults only" salt-water outdoor pool set apart from the main courtyard in a separate outdoor space and screened from the rest of the resort by a large artificial waterfall. It's just the place to come and get away when you need some relaxation apart from the children.